If your children love cats, then Kitty Surprise may be on their Christmas list this year! And for good reason. 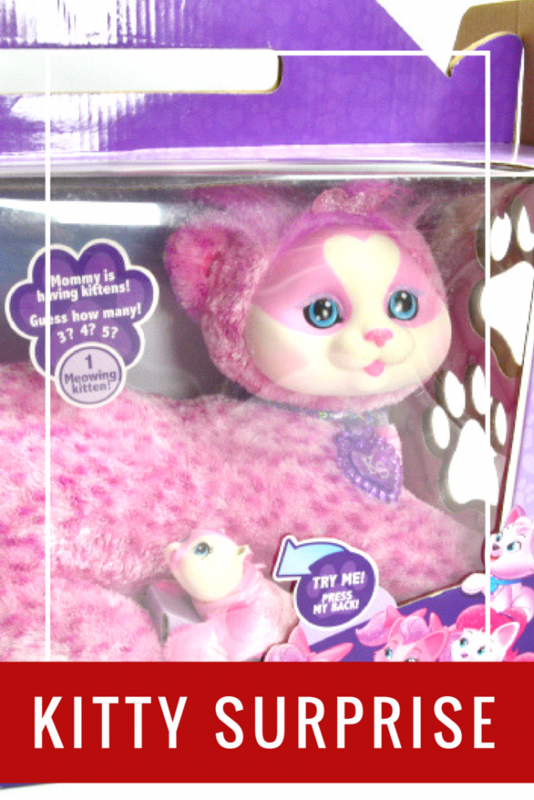 Kitty Surprise is a fun toy for kids that keeps you guessing with how many kittens she has! Will it be three, four or five? And one of the kittens will actually purr – how fun! I love that Kitty Surprise comes in a box that looks just like a real carrier that you would have for a cat. 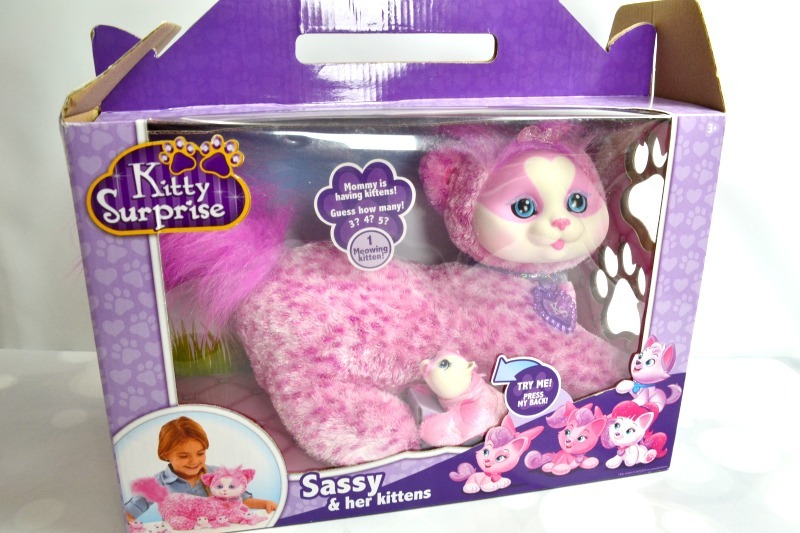 Kitty Surprise is great for kids – it allows them to cuddle, groom and nurture the cats. I know Riley is just going to fall in love with her Kitty Surprise when she opens it this Christmas.